"A uniquely touching story that’s guaranteed to delight readers; sometimes heartbreaking, often funny, and always inspirational and thought provoking; sure to please fans of stories about individuals who find inventive and endearing ways to adapt within their worlds, ultimately highlighting how surprisingly similar we all are. Highly recommended!" 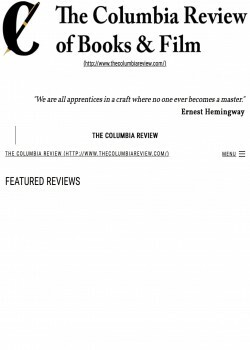 The Columbia Review. “The Brave and Beautiful Lie” by D. Lewis Edison is a young adult/coming of age novel that engages the reader with a motivational story about an underdog and his dreams. The book follows Philip Strongbow, a character who was born into the Confederated Tribes and Bands of the Yakima Nation on the Indian reservation near Yakima, Washington. Although his family had been proud of its Yakima warrior status for many generations, Philip had not been fortunate enough to inherit such traits. Instead, he was born with significant physical challenges and was always struggling as an “outsider” — weaker and smaller than those around him and always dreaming of becoming a big, strong warrior like many of his family members. Philip finds escape from his life challenges by diving into the world of reading and fantasy. As a young boy, he finds comfort in his grandmother’s book collection and continues this method of soothing long into adulthood. Philip’s withdrawal from his immediate external environment leaves him with the solitude and lack of attention that he craves. This situation changes, however, when he stumbles upon the opportunity to alter his life significantly by becoming what he has always dreamed of: a brake Yakima warrior. But Philip struggles because becoming a warrior will require him to betray two very important people in his life: his mother and his boss. In “The Brave and Beautiful Lie,” D. Lewis Edison offers a uniquely touching story that’s guaranteed to delight readers. The book ventures into the world of the Yakima Nation through the eyes of a family member who has challenges fitting in. The story is sometimes heartbreaking, often funny, and always inspirational and thought provoking. “The Brave and Beautiful Lie” is sure to please fans of stories about individuals who find inventive and endearing ways to adapt within their worlds, ultimately highlighting how surprisingly similar we all are. Highly recommended!